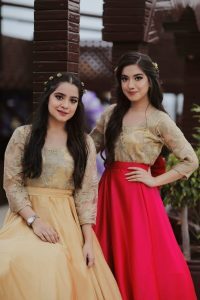 Arisha and Minal dressed like wise their sisters with a slight difference in colour. 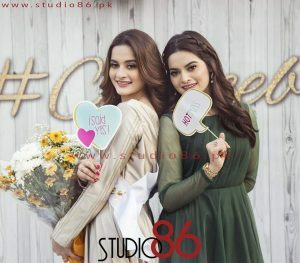 All were looking like queens at Bridal shower. 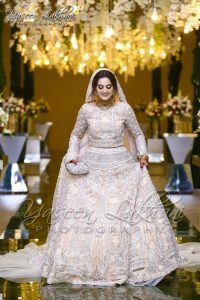 Mayon is became a significant event in Pakistani marriages and is considered a tradition. 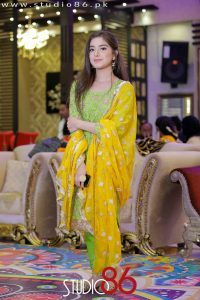 Bride Sarah and Aiman wore yellow outfits at their Mayon . 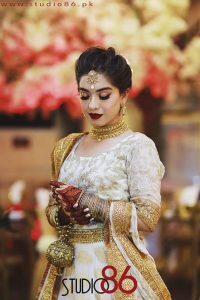 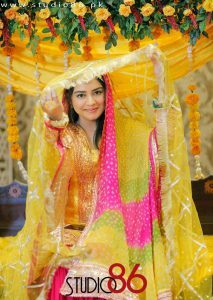 Mostly Brides wear bright colours at their mehandi function. 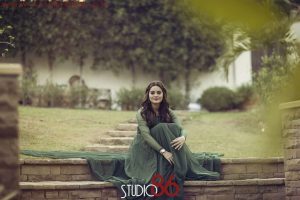 Aiman Khan dressed decently. 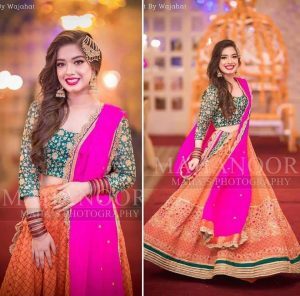 She was radiantly glowing in our traditional lehenga. 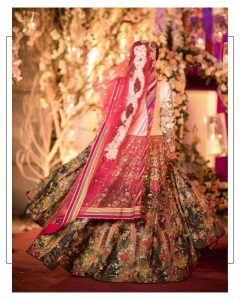 Cladded in an ornately circuitous embellished lehnga with mesmerising details paired with a bejewelled dupatta. 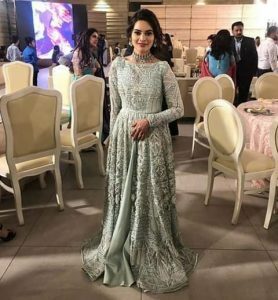 She wore colourful lehnga with white kurti while Sarah Razi wore green joda. 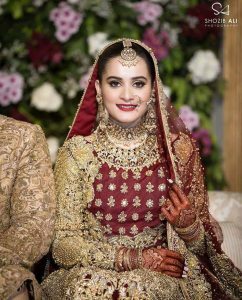 Red is the colour of brides which they used to wear at their Baraat. 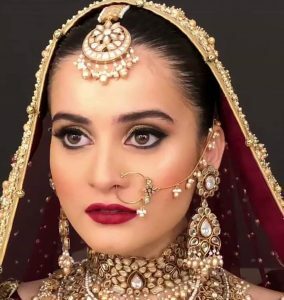 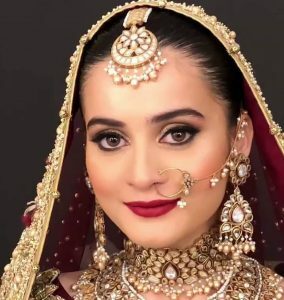 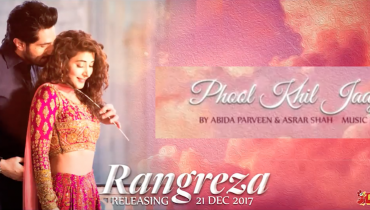 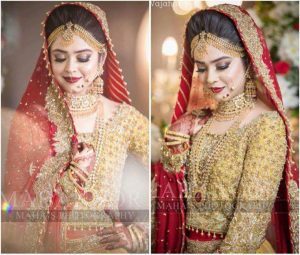 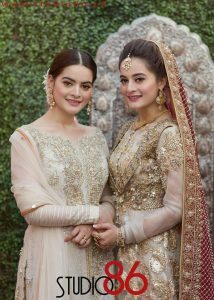 Sara Razi wore red and gold long trail while Aiman Khan stuns in lehenga and looks absolutely radiant giving us major “Fairy Tale” feels. 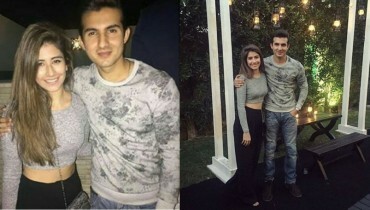 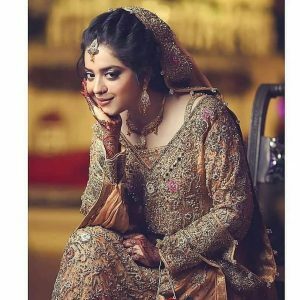 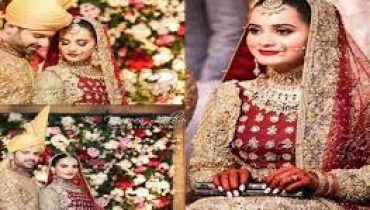 Shaadi finally ends on Valima 🙂 . 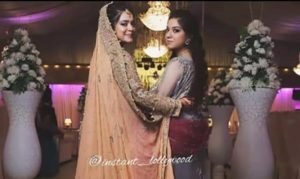 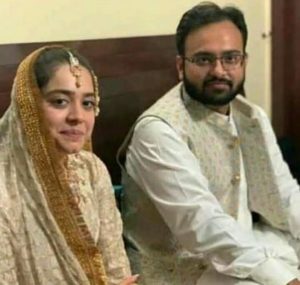 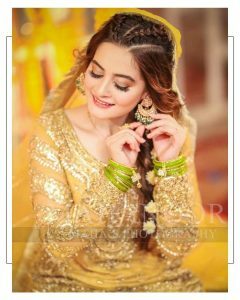 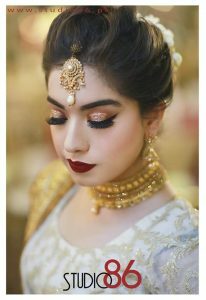 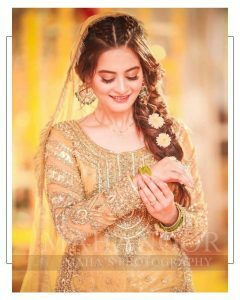 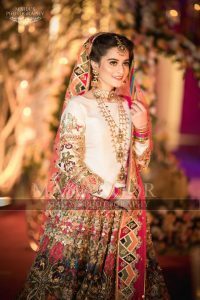 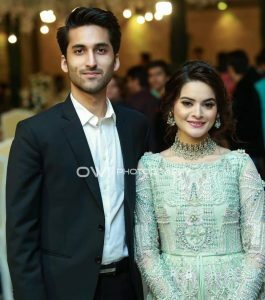 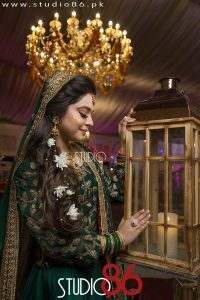 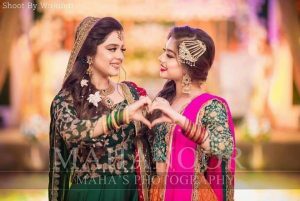 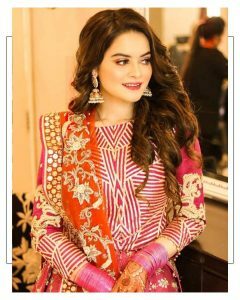 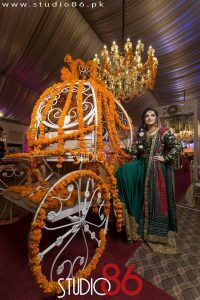 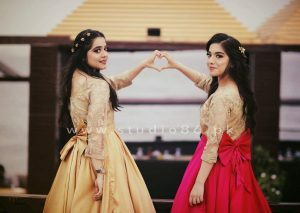 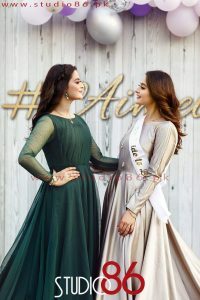 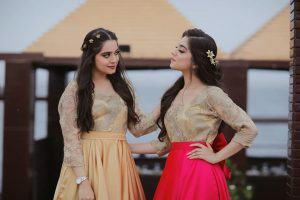 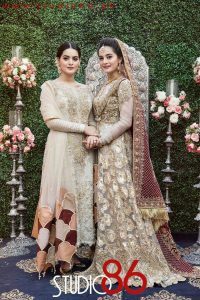 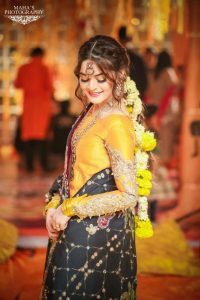 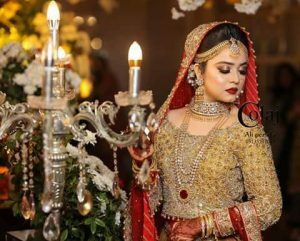 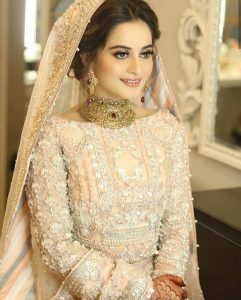 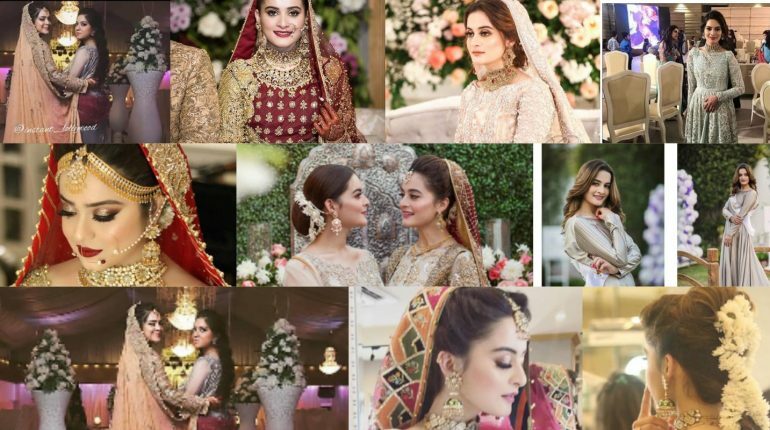 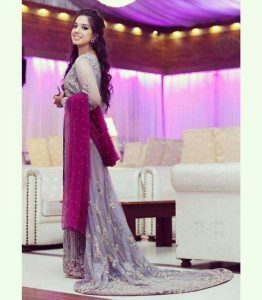 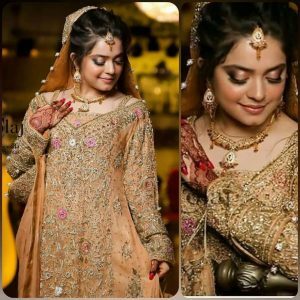 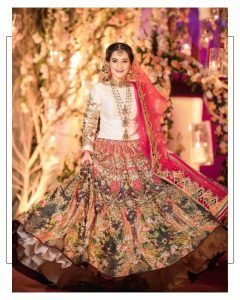 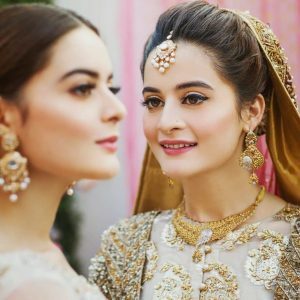 Aiman Khan wore a dream dress ; peach colour long trail at her reception. 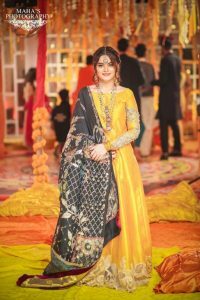 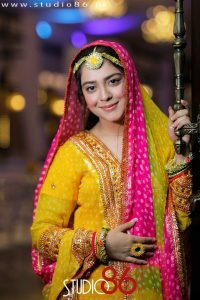 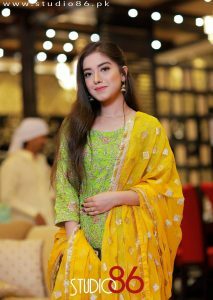 Sarah Razi wore gold colour gown.